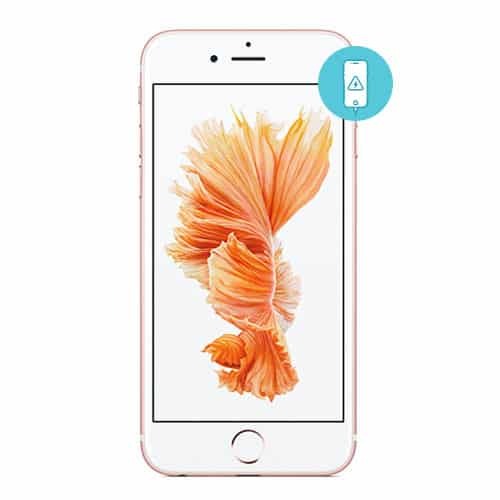 If you are looking for a quick reliable place to repair your iPhone 6S let the experts at iFixScreens help. You authorize iFixScreens.com to perform the work described in the Service Intake Form (“Service”) on the device identified on the front of this form (“Your Device”), subject to these Terms and Conditions. If Your Device is under any applicable manufacturer’s warranty, then the terms of iFixScreens.com’s Standard Limited Warranty also apply and will control if there is any conflict with these terms. In particular, if the Warranty Status of Your device shown on the front of this Service Authorization is “In Warranty” and iFixScreens.com determines upon further inspection that the issue with Your Device is not covered by the Standard Limited Warranty (for example, there is damage due to exposure to liquid), then additional charges not shown in the Service Intake Form may apply. In that case, iFixScreens.com will notify you of the additional charges prior to starting work on your device. Service on Your Device will not begin unless and until you authorize the additional charges. You are solely responsible for backing up any data on Your Device and deleting, encrypting or otherwise protecting your data from unauthorized use. iFixScreens.com will not back up or restore your data, and is not responsible for any data that is lost or corrupted. iFixScreens.com will not treat data on Your Device as confidential and disclaims any agreement with you or other obligation to do so. iFixScreens.com may, at its sole option, use rebuilt, reconditioned, or new parts or components when repairing Your Device. Repaired/replaced cases, pouches and holsters will be warranted for a period of ninety (90) days. 30 days warranty on special orders/out of stock parts and batteries. All other repaired/replaced devices will be warranted for a period of one hundred eighty (180) days. If Your Device should malfunction, it must be returned to the iFixScreens.com store or service center for evaluation, and all costs of shipping shall be borne solely by the purchaser. iFixScreens.com’s customer service department will diagnose the repair upon receipt. Upon examination by iFixScreens.com, if Your Device is found to be defective due to the part purchased from iFixScreens.com, it will be repaired or replaced at no charge. This warranty does not apply to defects resulting from any action by you, including but not limited to mishandling, physical damage, water damage, improper interfacing, operation outside of design limits, improper repair by someone other than iFixScreens.com, use of any other product other than iFixScreens.com products, or unauthorized modification. This warranty is VOID if Your Device shows evidence of having been tampered with (broken seal) or shows evidence of being damaged as a result of excessive corrosion; or current, heat, moisture or vibration; improper specification; misapplication; misuse; abuse or other operating conditions outside of iFixScreens.com’s control. Software warranty applies to factory restores, backups, jailbreaks, unlocks, and applies to computers, laptops, cellular phones, etc. The warranty is VOID if customer performs any software modifications not limited to restore, updating software on the device, downloading unauthorized or unapproved software, viruses, malware, spyware, or attempts to modify the Device. iFixScreens.com employees reserve the right to VOID its warranty if any improper software installations or modifications or upgrade have been made after customer has left the store location. This warranty is non-transferable and does not apply to any purchaser who bought the product from a reseller or distributor not authorized by iFixScreens.com, including but not limited to purchases from internet auction sites. Unless otherwise required by law, all replaced devices, parts, components, boards and equipment shall become the property of iFixScreens.com, and you waive all rights you may have under state or other laws to the replaced device or repaired or replaced parts. Subject to paragraph 2 above regarding data, iFixScreens.com will be responsible to the extent provided under applicable law for the physical safekeeping of Your Device while in iFixScreens.com’s possession for service. 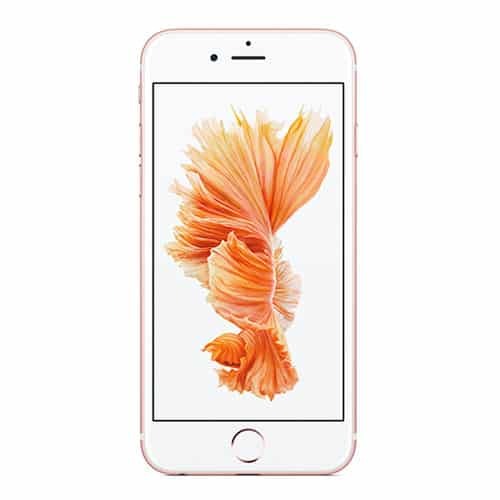 If Your Device is lost or damaged while it is in iFixScreens.com’s possession for service, IFixScreens.com will repair Your Device or replace it with an equivalent device, which at iFixScreens.com’s option may be new or refurbished. If you fail to pick up your device or otherwise arrange for its return after repeated efforts to contact you, after thirty (30) days following the completion of repairs iFixScreens.com shall treat the device as abandoned, and may dispose of the property in its sole discretion in accordance with applicable provisions of law, including sale to recoup administrative and repair costs. THE LIMITED WARRANTY STATED IN PARAGRAPH 3 ABOVE SETS OUT THE FULL EXTENT OF IFIXSCREENS.COM’S RESPONSIBILITIES, AND THE EXCLUSIVE REMEDY REGARDING WORK PERFORMED OR PARTS SUPPLIED BY IFIXSCREENS.COM IN CONNECTION WITH THE SERVICE ON YOUR DEVICE. ALL IMPLIED WARRANTIES, INCLUDING WITHOUT LIMITATION, IMPLIED WARRANTIES OF MERCHANTABILITY AND FITNESS FOR A PARTICULAR PURPOSE, ARE LIMITED TO THE DURATION OF THE LIMITED WARRANTY. IN NO EVENT SHALL IFIXSCREENS.COM BE LIABLE FOR DAMAGES IN EXCESS OF THE TOTAL AMOUNT DUE FOR THE SERVICE, WITHOUT LIMITATION, COMMERCIAL LOSS OF ANY SORT; LOSS OF USE, TIME, DATA, REPUTATION, OPPORTUNITY, GOODWILL, PROFITS OR SAVINGS; INCONVENIENCE; INCIDENTAL, SPECIAL, CONSEQUENTIAL OR PUNITIVE DAMAGES; OR DAMAGES ARISING FROM THE USE OR INABILITY TO USE THE PRODUCT. SOME STATES AND JURISDICTIONS DO NOT ALLOW LIMITATIONS ON HOW LONG AN IMPLIED WARRANTY LASTS, OR THE DISCLAIMER OR LIMITATION OF INCIDENTAL OR CONSEQUENTIAL DAMAGES, SO THESE LIMITATIONS AND DISCLAIMERS MAY NOT APPLY TO YOU. No agent, employee, dealer, representative or reseller is authorized to modify these Terms and Conditions, to extend the Limited Warranty above or to make binding representations or claims, whether in advertising, presentations or otherwise, on behalf of iFixScreens.com regarding the Service. You and iFixScreens.com agree that it is our intention that these Terms and Conditions be enforceable in accordance with their terms to the fullest extent permitted by law. You and iFixScreens.com agree that if any portion of these Terms and Conditions are adjudged by a court or arbitrator to be invalid or unenforceable, that adjudication shall not invalidate the remainder of these Terms and Conditions and they shall be fully enforceable. You understand and agree iFixScreens.com will collect Meta – Data logs during diagnostic evaluation to improve overall future functionality of diagnostic tool and symptom evaluation in the repair process. The data collected will be used solely by iFixScreens.com to enhance and improve this process, may be shared with iFixScreens.com affiliates, and will not be distributed further without your consent. Data types that may be collected from your device include: device phone number, device model number, device IMEI, device serial number, downloaded applications & their respective settings and host applications & their respective settings. The formation, existence, construction, performance, validity and all aspects whatsoever of these Terms and Conditions will be governed by the laws of the State of New York, without reference to its choice of laws principle; ALL DISPUTES WITH IFIXSCREENS.COM ARISING IN ANY WAY FROM THE SERVICE, INCLUDING THE ISSUE OF ARBITRABILITY, SHALL BE RESOLVED EXCLUSIVELY THROUGH FINAL AND BINDING ARBITRATION, AND NOT BY A COURT OR JURY. Any such dispute shall not be combined or consolidated with a dispute involving service provided to any other person or entity, and specifically, without limitation of the foregoing, shall not under any circumstances proceed as part of a class action or class arbitration. The arbitration shall be conducted before a single arbitrator, whose award may not exceed, in form or amount, the relief allowed by the applicable law. The venue for all arbitrations shall be in Suffolk County, New York. The arbitration shall be conducted according to the American Arbitration Association (AAA) Commercial Arbitration Rules applicable to consumer disputes, and is entered pursuant to the Federal Arbitration Act. The arbitrator shall decide all issues of interpretation and application of this arbitration provision and the Terms and Conditions. Judgment may be entered on the arbitrator’s award in any court of competent jurisdiction. This arbitration provision also applies to claims against iFixScreens.com’s employees, representatives and affiliates if any such claim arises from the Service. You may opt out of this dispute resolution procedure by providing notice to iFixScreens.com no later than 30 calendar days from the date of this Service Authorization. To opt out, you must send notice by e mail to info@iFixScreens.com.com, with the subject line: “Arbitration Opt Out.” You must include in the opt out e mail (a) your name and address; (b) the date of this Service Authorization; (c) the model name or model number of Your Device; and (d) the IMEI or MEID or Serial Number, as applicable, if you have it (the IMEI or MEID or Serial Number can be found (i) on the Product box; (ii) on the Product information screen, which can be found under “Settings;” (iii) on a label on the back of the Product beneath the battery, if the battery is removable; and (iv) on the outside of the Product if the battery is not removable). Opting out of this dispute resolution procedure will not affect the Service or the Limited Warranty above for parts and labor, and you will continue to enjoy the benefits of the Limited Warranty. Personal information you provide on this form (such as an e-mail or mailing address) will be used only to fulfill the service you have requested; iFixScreens.com will not sell, rent, or otherwise disclose such information (except as needed to iFixScreens.com service vendors) without your prior approval. IFIXSCREENS.COM offers this website (iFixScreens.com.com), including all information, software, products, and services available from this website or offered as part of or in conjunction with this website, to you, the user, conditioned upon your acceptance of all of the terms, conditions, policies and notices stated on this website. Your continued use of the website constitutes your agreement to all such terms, conditions, and notices, and any changes to this Terms of Service made by IFIXSCREENS.COM. The term ”IFIXSCREENS.COM” or “us”, “we”, or “our” refers to the owner of this website. The term “you” refers to the user or viewer of this website. Use the website at your own risk. This website is provided to you “as is” without warranty of any kind either express or implied. Neither IFIXSCREENS.COM nor its employees, agents, third-party information providers, merchants, licensors, or the like warrant that the website or its operation will be accurate, reliable, uninterrupted, or error-free. No agent or representative has the authority to create any warranty regarding the website on behalf of IFIXSCREENS.COM. IFIXSCREENS.COM reserves the right to change or discontinue at any time any aspect or feature of the website. Neither we nor any third parties provide any warranty or guarantee as to the accuracy, timeliness, performance, completeness, or suitability of the information and materials found or offered on this website for any particular purpose. You acknowledge that such information and materials may contain inaccuracies or errors and we expressly exclude liability for any such inaccuracies or errors to the fullest extent permitted by law. Your use of any information or materials on this website is entirely at your own risk, for which we shall not be liable. It shall be your own responsibility to ensure that any products, services, or information available through this website meet your specific requirements. This website contains material which is owned by or licensed to us. This material includes, but is not limited to, the design, layout, look, appearance, and graphics. Reproduction is prohibited other than in accordance with the copyright notice, which forms part of this Terms of Service. Unauthorized use of this website may give rise to a claim for damages, be a criminal offense, or both. From time to time this website may also include links to other websites. These links are provided for your convenience to provide further information. They do not signify that we endorse the linked website(s). We have no responsibility for the content of the linked website(s). Except for material in the public domain under United States copyright law, all material contained on the website (including all software, HTML code, Java applets, Active X controls and other code) is protected by United States and foreign copyright laws. Except as otherwise expressly provided in this Terms of Service, you may not copy, distribute, transmit, display, perform, reproduce, publish, license, modify, rewrite, create derivative works from, transfer, or sell any material contained on the website without the prior consent of IFIXSCREENS.COM. None of the material contained on the website may be reverse-engineered, disassembled, decompiled, transcribed, stored in a retrieval system, translated into any language or computer language, retransmitted in any form or by any means (electronic, mechanical, photo reproduction, recordation or otherwise), resold, or redistributed without the prior written consent of IFIXSCREENS.COM. Violation of this provision may result in severe civil and criminal penalties. IFIXSCREENS.COM reserves the right, at any time, to modify the terms this Terms of Service, by making those modifications available on this website or by providing notice to you. Any modification will be effective immediately upon posting on this website or other such notice. You are deemed to have agreed to such modification through your continued use of the products or services. IFIXSCREENS.COM’s failure to enforce a provision is not a waiver of its right to do so later. If a provision is found unenforceable, the invalidity of such provision shall not affect the remaining provisions of these Terms of Service, and all provisions not affected will remain in full effect to the fullest extent possible consistent with the intent of the parties. We offer a 180 Days warranty on all our repairs. If the original repair fails because of a defect with a part we installed, we will replace the part at no charge. You only want the best technicians working on your electronic devices. Our highly skilled staff of technicians are true experts and will get your device working like new. Most repairs can be done same day, while you wait. We know how inconvenient a broken device can be, so we work quickly to fix the issues and get you connected back in. We believe in a hassle free repair process. We diagnose your device for free. Once we determine what is needed for your repair, we will contact you with an obligation free repair quote. You can choose to continue with a repair, or not, the choice is always yours. Collin is the master. I had a broken iPad mini. Began by getting a quote from Collin. He answered me right away before this business hours even started. I dropped off the broken iPad mini screen and he was finished in about three hours. They called me up and had it ready. Collin was friendly and knows his stuff. I suggest anyone who broke their screen to check them out. " My husband and I just got both of our iPhones repaired at the Shirley location. We couldn't be more happy. Our iPhones look and feel brand new!! Both technicians, Ali and Marisol, are wonderful, knowledgeable, professional and caring! Being, that we walked into the store fifteen before eight we were afraid that we would have to leave our iPhones there until tomorrow. " My 9 year old dropped his iPad mini shattering the screen and was devastated. I found this place through groupon and immediately purchased a voucher. The carle place store is amazing. Very clean and faster than i had expected. I went in and Nora greeted me. She is courteous and professional. I asked how long it would take and she surprised me by saying less than an hour. "